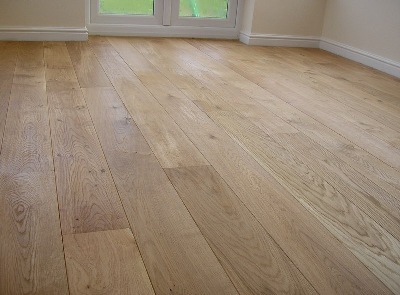 The Installation Solid Wood Flooring and Engineered Wood Flooring. 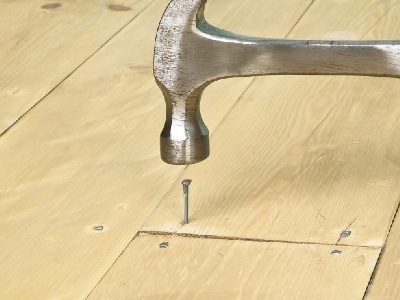 In this method we nail down or staple solid or engineered wood strips to the subflooring (usually either plywood or plank wood). The floor is installed with random length strips. A few strips are placed down and arranged prior to fastening to ensure proper placement and tautness. 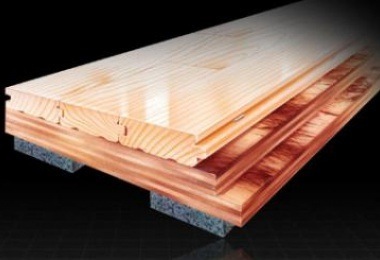 In this method we glue down engineered wood strips or parquet directly to the subfloor. In these cases the subfloor is usually concrete, so we pay extra attention to moisture. With glue down installations, it is important to consider any kind of allergy or sensitivity to smell. We use an acrylic based glue which is milder than some of the other options. Glue down installations can be walked on the very next day and furniture can also be moved back in. Refinishing and sanding your hardwood floors is necessary to preserve their quality and beauty. Any refinishing is done solely to enhance the woods natural color and protect it from the elements. 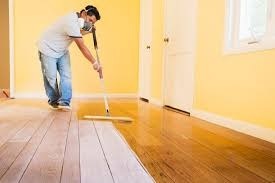 The best time to sand and refinish your hardwood floors is when you move into a new house or apartment as all of the furniture, rugs, etc. need to be removed from the area during the process. Proper refinishing should last about 10 years. However, high traffic rooms will need to be done more often. But the two types of floors. 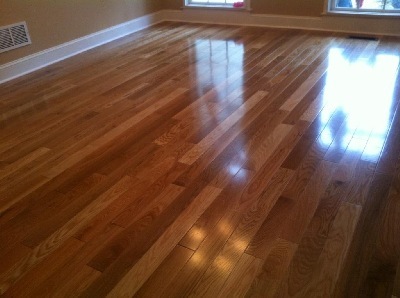 Pre-finished floors are the new main stream product in hardwood flooring. They can be acrylic impregnated, engineered, or solid. They have a tough factory finish, which is the main reason for its popularity. They are also extremely easy to install and eliminate the need for messy sanding. Most pre-finished floors done within the last ten years are urethane finished. Test this by placing a couple drops of water on an obscure area. If the area turns white after 15 minutes, you have a waxed finish. Older floors are likely to have shellac or varnish finishes. Unfortunately these do not work well with the newer urethane finishes and must be completely removed if you want a urethane finish. There is also likely to be some amount of aluminum oxide in the newer prefinished floors. These come in solid and engineered, and both must be job site finished. They come in varying lengths and widths. Sanding and finishing can take anywhere from a few days to a week depending on size, stain, and number of top finish coats. Generally the finishes are oil or water based. Our first priority is to protect the beauty of your residential or commercial space so whether you have finished or unfinished floors, we section off other areas to prevent sanding dust from spreading throughout the space. Our expert technicians also use dust containment systems to limit the amount of dust in the air. And with refinishing, it is important to have as little air flow as possible in the area as airborne particles can become embedded into the newly applied finish. Something as simple as foot traffic or turning on the air conditioner/heating system can kick up dust. So it is better to allow more time to dry to avoid problem areas in your floors.